Turn off WIFI and Turn on mobile data..
After that go to security --> permission --> setting icon on top right corner and turn on install via usb. First Check in your computer USB driver is installed or not. If not than install ADB driver. Not the answer you're looking for? 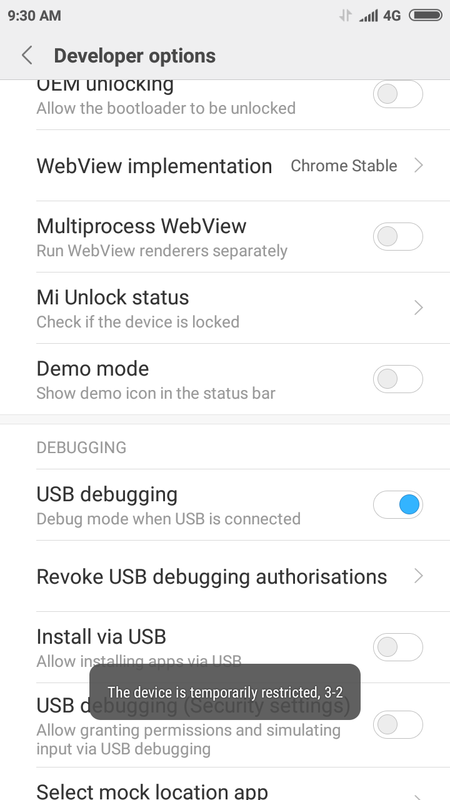 Browse other questions tagged android usb android-debug redmi-device redmi-permission or ask your own question.